Prospects would very much appreciate if you could be a part of their event this summer! Exhibitors and experiences are needed to reflect local sector including high performance technical engineering; construction; food manufacturing/technology; creative/cultural; shoe industry; & logistics. Employers are needed to come up with some suitable activities – short, sharp and hands on. This is not a typical careers fair – its hand on, practical, participative and fun with a focus on skills and learning. Building on their successful events run in recent years, it will provide a unique platform to inspire and motivate young people in South East Midlands and Northamptonshire, enabling them to explore and experience a wide range of different skills and career options. 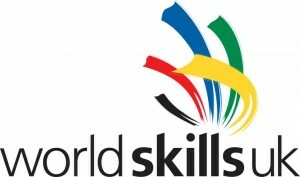 The skills and careers event will be delivered through a collaboration between WorldSkills UK, Prospects, SEMLEP, Aspire, Northamptonshire County Council, and other experienced local partners. It will take place on 11th and 12th July 2017 at Northampton Saints Rugby Club.